For the third year in a row. The MD Buy Local Challenge. Dates are July 19-27. This year I almost forgot about it until I received the reminder email. Since most of our food is local or regional, we already eat at least one item every day that comes from our Lancaster Farm Fresh CSA, our Friends and Farms basket, a local market or farm, or my garden. If you wanted to join in, it is easy to do. You don’t even have to cook. Buy some fruit. 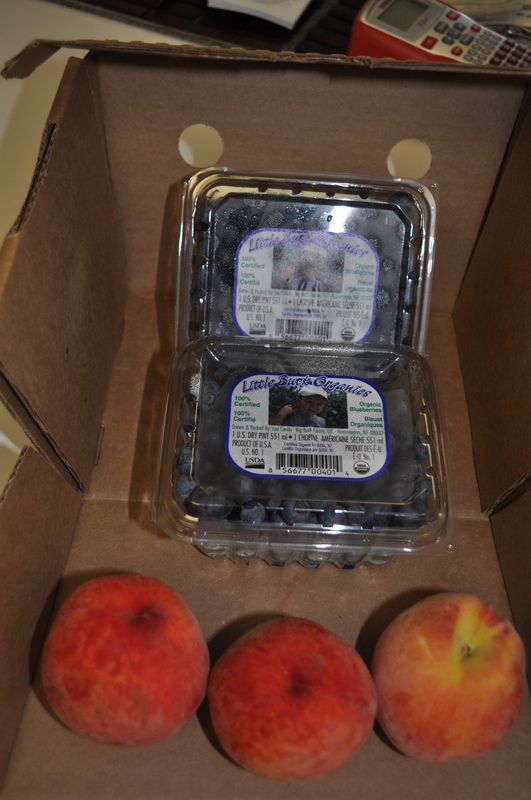 Peaches and blueberries are definitely in season. Or how about watermelon, or cantaloupe? 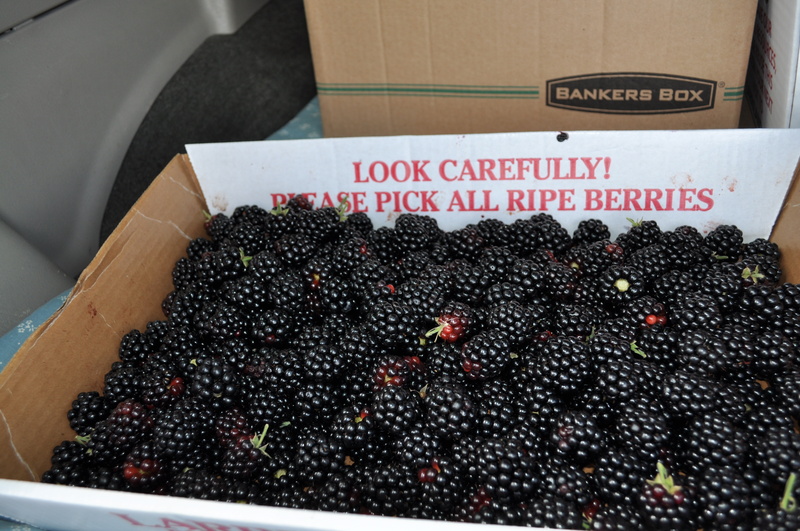 Blackberries? Seriously. Take a trip to Larriland and pick fruit, maybe take home some tomatoes. Hit the farmers market in Ellicott City Sunday. Some Breezy Willow eggs. Cheese from Shepherd’s Manor. Meat from Orchard Breeze. The list goes on. If you want sungold tomatoes, check out Love Dove at the Miller Library or HoCo General Hospital market. Or, any of the Howard County markets. And, don’t forget wine counts too. Black Ankle maybe> Or Elk Run? 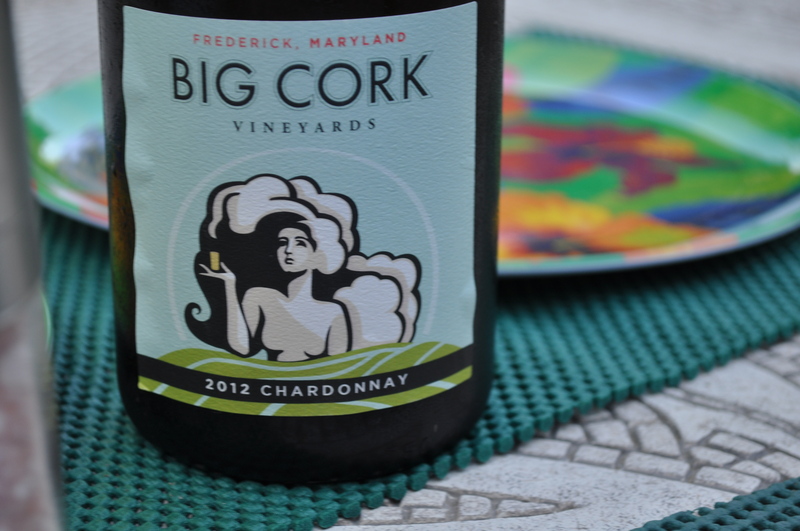 Or Big Cork? Posted in CSA, Farmer's Markets, Farms, Food, Friends and Farms, Howard County, Locavore, Real Food and tagged cooking, CSA, farmer's markets, farms, Food, foodie, Howard County, local businesses, Locavore, real food. Bookmark the permalink.